Girl Scouting arrived in the Philippines with the missionaries in the 1910s, but it wasn’t until the 1940s that Girl Scouts of the Philippines became a formal movement. Tinikling is considered the national dance of the Philippines. If you remember this from your old PE days, it’s much like jump roping, but you use long sticks that are tapped on the floor. The dancer jumps up as the sticks are moved. You could use 5 foot long bamboo sticks for gardening, long wooden dowels or PVC pipe for the sticks. Learn the steps for Tinikling and watch a video on how Tinikling is done. 17 Filipino Recipes That Are Cheap To Make!!! 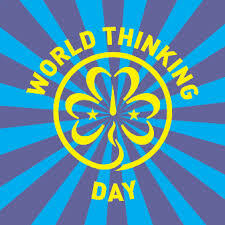 What other Thinking Day ideas do you have for the Philippines? Share your ideas and pins below!